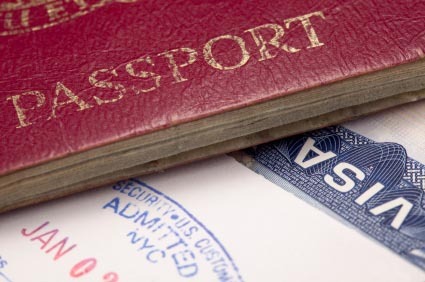 The number of F visas issued has always been the best indicator of international student market movements to the United States. However, since these statistics take time to compile and are only released annually, it can be challenging to use them for planning an international student recruitment campaign. We at iTEP pay close attention to these numbers because it is our goal to have widely accessible certified and secure test sites in the countries that provide the largest number of students to the US. The Institute of International Education annually publishes Open Doors which is chock-full of useful information about international students in the United States. One has to be careful in using those statistics for marketing purposes, though, since they represent macro trends, not micro trends. I am reminded of the 1981 Open Doors publication that listed Iranians as representing the largest international student body in the United States. Of course, following the Iranian revolution of 1979 there was only a trickle of new Iranian students arriving at US schools. Anyone who might have planned an international student marketing program for Iran based on the 1981 Open Doors student statistics was likely disappointed with the results. The American Embassy was closed and no visas were being issued. The F1 (student visa) statistics below are the latest available. The US Government fiscal year ends on September 30 of each year. Therefore, these numbers represent the government’s full fiscal year ending in 2010, 2011 and 2012. The total number of F1 visas issued throughout the world in 2012 was 486,900. This compares with 447,410 issued in 2011 and 385,210 issued in 2010. Take a look at the top 15 countries for F1 visas in FY 2012. We’re proud to say that five of the top six–China, Saudi Arabia, India, Japan, and Brazil–are also the top countries for iTEP tests administered. Of course, while the overall trend has been more F1 visas issued over the last couple of years, the numbers vary country to country. Below is an alphabetical listing of all countries issued 1,000 or more F1 visas during the government fiscal year 2012 (ending September 30, 2012) along with the number of visas issued for the same countries during 2011 and 2010. The last column shows the percent increase or decrease in the 2012 visa numbers compared with 2011 numbers. A few huge increases stand out: China +23%, Colombia +22%, Denmark +27%, Egypt +30%, Iran +22%, and Kuwait +85%. Countries that have experienced the largest declines include: Taiwan -5%, India -8%, and South Korea -22%. For the most part, the other countries on this list indicate some increase in the number of F1 visas issued in 2012 vs. 2011. We look forward to the release of the 2013 F visa data this fall.